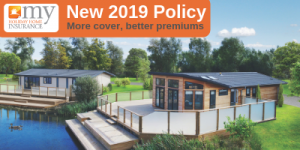 Exclusively to My Holiday Home Insurance and new for 2019, we have enhanced our insurance policy to bring you better cover and even better value for money. We always listen to our customers and review our insurance policy on a regular basis to ensure we are meeting the needs of leisure home owners. 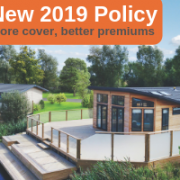 With this in mind, we now bring you one of the most competitive and enhanced cover on the market with our new 2019 Leisure Home policy. As specialists in the insurance sector and with over 13 years’ experience, we have tailored our insurance policy to meet the needs of our customers who own a static caravan, holiday lodge or leisure home in the UK. With our new leisure insurance policy, you receive our highest ever level of cover, along with numerous choices of optional extra cover. The optional extras we provide can be added to your standard cover to protect items such as decking, hot tubs, pedal cycles and sports equipment, just to name a few. Our new leisure home insurance policy cannot be found anywhere else and offer you advisory cover to suit your individual needs, which means you only need to pay for the cover you require. Outlined below is just some of the cover you can receive with our new 2019 insurance policy. Maximum building sum insured increases to £120,000 (increased limits on sums insured). New for old and market value cover policy now available on static caravans and leisure homes up to 20 years old. Maximum contents sum insured increases to £25,000. Accidental damage cover (when not let). Up to ￡5million public liability cover. Up to ￡500,000 buildings sum insured. Up to ￡40,000 contents sum insured. Site clearance, transportation and re-siting cover. Alternatively, you can call 0800 988 0890 and speak to one of our specialist advisors. To keep up to date with information about static caravans, holiday lodges and leisure homes, please follow us on Twitter, Facebook & LinkedIn. My Holiday Home Insurance, is a part of Assist Insurance Services Ltd, Royal House, Queenswood, Newport Pagnell Road West, Northampton NN4 7JJ.